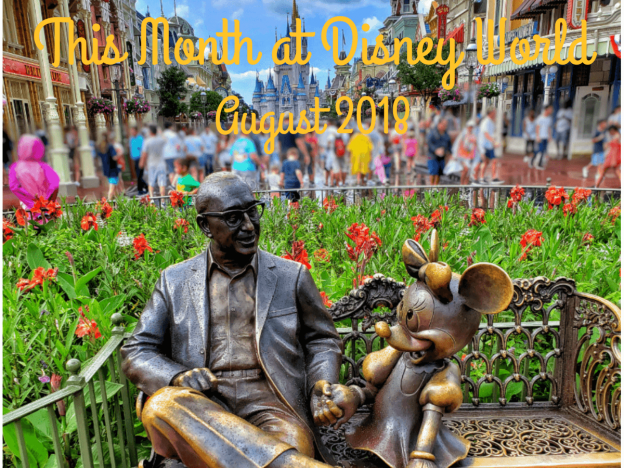 There are always new and exciting things happening at Disney World. Here are some things we are looking forward to this July 2018. The biggest thing happening this month has technically already happened. Toy Story Land in Hollywood Studios is open! 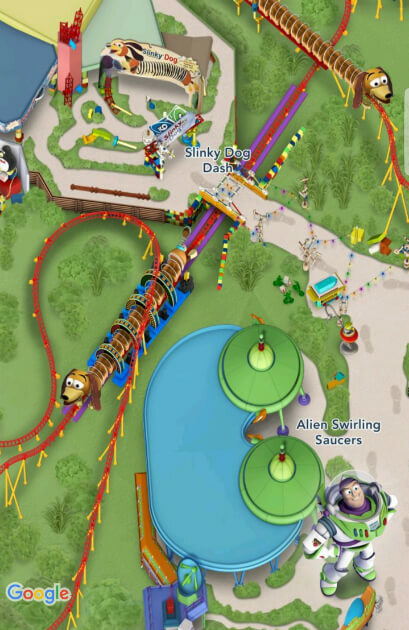 And it brings with it 2 new rides – Slinky Dog Dash Rollercoaster and Alien Swirling Saucers. Don’t worry, Toy Story Mania hasn’t gone anywhere. The entrance was just moved so it’s now a part of the new land. This entry was posted in Attractions, Entertainment, Events, Extra Magic, Feed Me, Find It, Hollywood Studios, Play, runDisney and tagged 2018, Alien Swirling Saucers, America Adventure Pavilion, Animal Kingdom, Be Our Guest, Brews & BBQ, Celebrations, Dino Diner, Dino-Bite Snacks, Discounts, Disney Springs, Electrical Water Pageant, Epcot, Epcot Character Spot, Fairfax Fare, FastPass, Fife & Drum, Food, Fourth of July, Green Army Men, Hollywood Studios, Independence Day, July, Kringla Bakeri og Kafe, Liberty Square Riverboat, Magic Kingdom, My Disney Experience, Nighttime Entertainment, Paddlefish, Photopass, Play Disney Parks App, Polynesian Village Resort, Refurbishment, Rides, runDisney, Slinky Dog Dash, Sprinkles, Tambu Lounge, Terralina Crafted Italian, Toy Story Land, Warung Outpost, WDW Marathon, Woody's Lunch Box, World Showcase on July 3, 2018 by Minnie. This year marks the 20th anniversary of the Animal Kingdom. Does that make anyone else feel old? 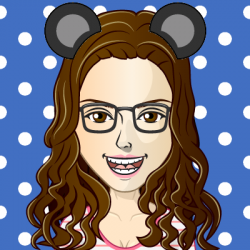 No, just me. Okay, moving on. 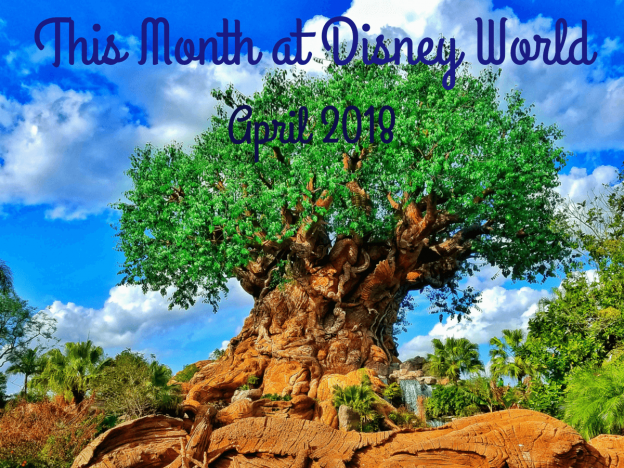 The anniversary celebration begins on Earth Day, April 22nd, so Disney is expanding their Party for the Planet to include a welcome celebration, special PhotoPass opportunities, special merchandise, backstage experiences, and festival food and beverages (rumors are there will be kiosks like the Epcot festivals). There is also a new behind the scenes tour that includes getting up-close and personal with elephants. Or if fancy food is more your style, Imagineers, animal care and conservation cast members will be hosting dinners at Tiffins. The Party starts on April 22nd and continues through May 5. 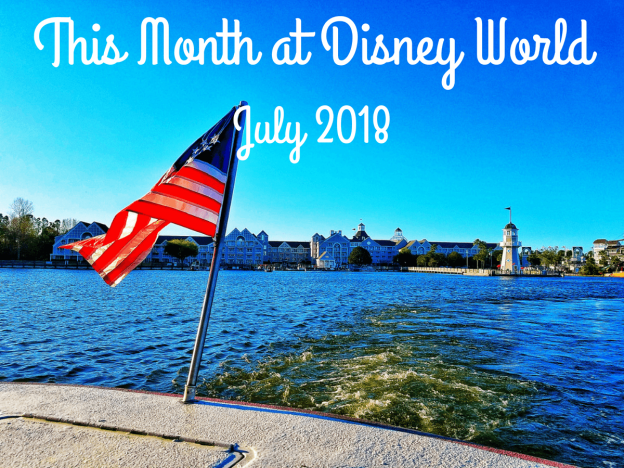 Curious about what a Disney anniversary looks like and tips to enjoy it, check out the recap of Epcot’s 35th here. This entry was posted in Animal Kingdom, Animal Kingdom, Attractions, Disney Springs, Disney Springs, Entertainment, Epcot, Epcot, Events, Extra Magic, Hollywood Studios, Magic Kingdom, Magic Kingdom, Resorts, runDisney, Shopping and tagged Animal Kingdom, Animal Kingdom 20th, April, Dapper Days, Disney Springs, Easter, Electric Umbrella, Epcot, Epcot Flower and Garden Festival 2018, Epcot Food and Wine Festival 2018, Food, Future Attractions, Hard Ticket Party, Liberty Inn, Magic Kingdom, Merchandise, Mickey's Not So Scary Halloween Party, Mickey's Very Merry Christmas Party, MNSSHP, Morimoto Asia, MVMCP, New Attractions, Norway Pavilion, Paddlefish, Party for the Planet, Pirates of the Caribbean, Refurbishment, Rides, runDisney, Special Events, Star Wars Half Marathon, The Edison, World Showcase on April 1, 2018 by Minnie. 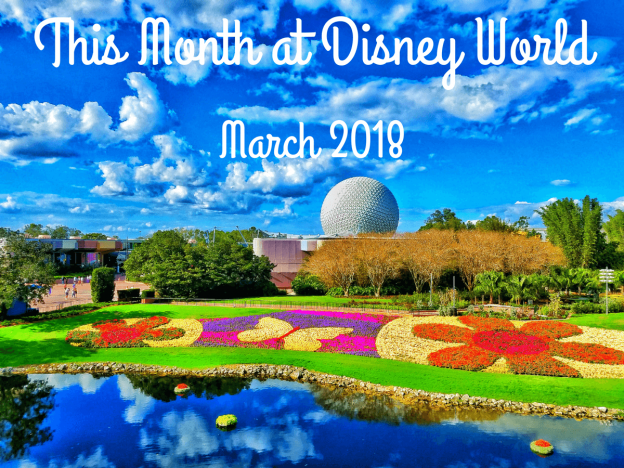 This month marks the beginning of the Epcot Flower and Garden Festival (well technically it started February 28, but that is basically March right?). 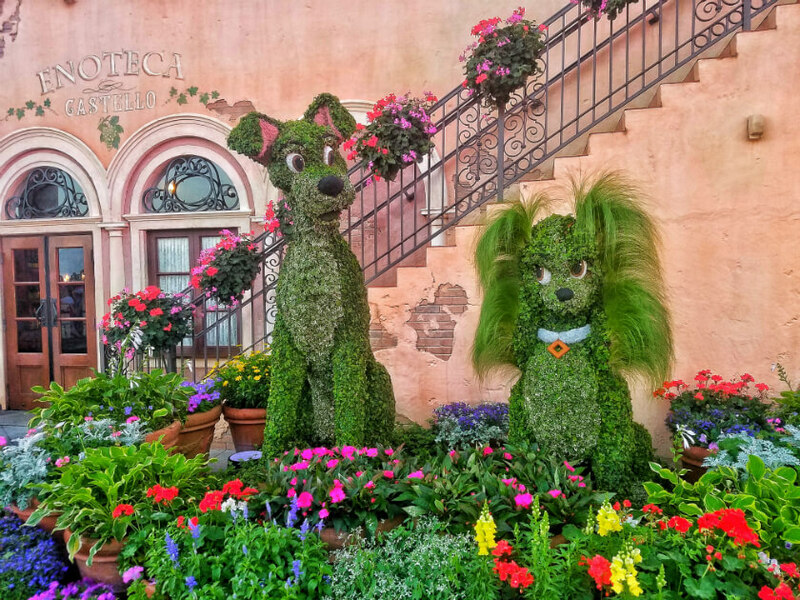 This celebration of spring includes topiaries, gardens, tours, seminars, special merchandise, throwback concerts, and, of course, outdoor kitchens. 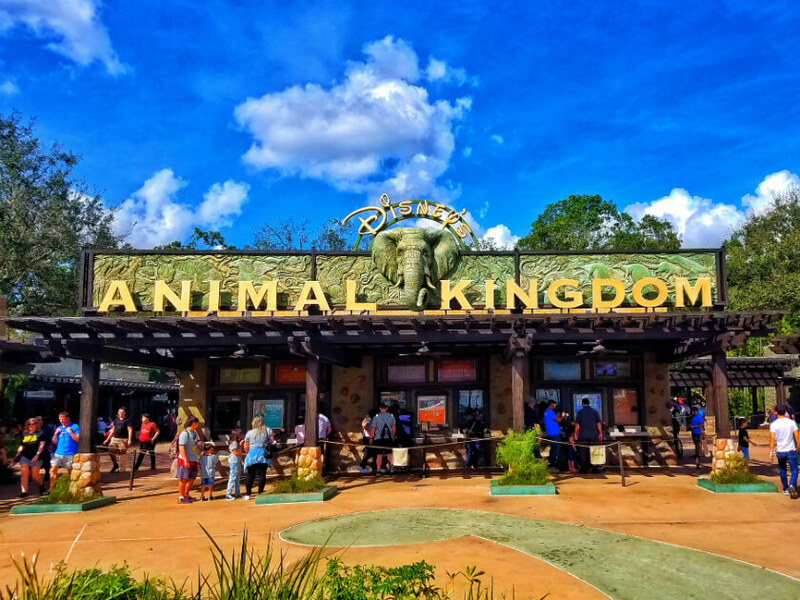 This entry was posted in Animal Kingdom, Attractions, Disney Springs, Disney Springs, Epcot, Epcot, Events, Extra Magic, Magic Kingdom, Magic Kingdom, runDisney, Shopping and tagged 2018, Animal Kingdom, Closed Attractions, Disney Springs, Epcot, Epcot Flower and Garden Festival 2018, Food, Magic Kingdom, Merchandise, Photopass, Pirates of the Caribbean, runDisney, Special Events, World Showcase on March 1, 2018 by Minnie. The newest Epcot festival began last month and continues through February 19th. 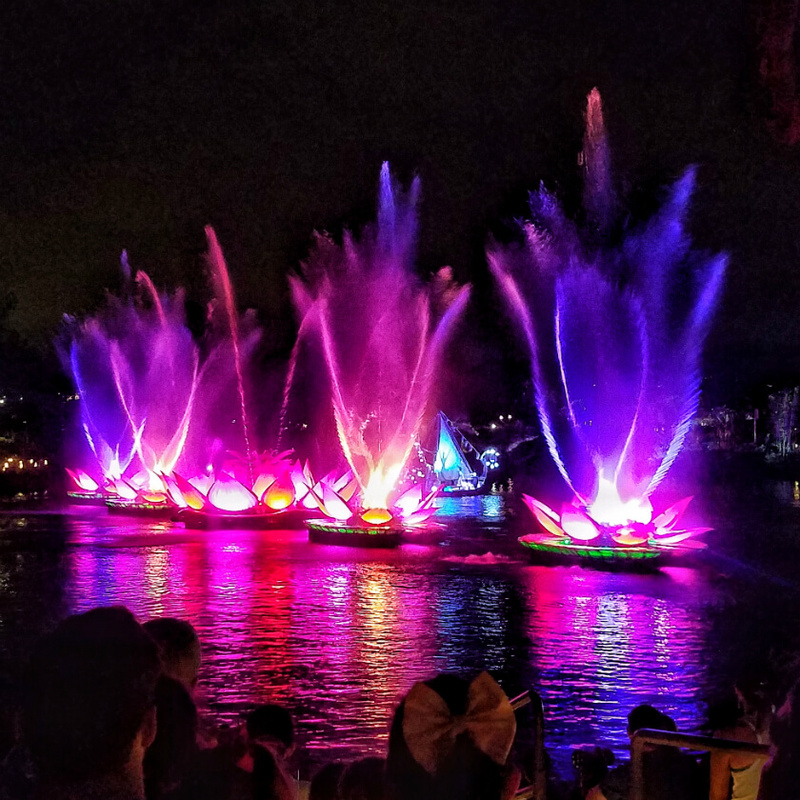 This celebration of the arts – visual, performance, and of course (because this is an Epcot festival) culinary – has been a hit with guests since it started last year. This entry was posted in Attractions, Disney Springs, Entertainment, Epcot, Events, Extra Magic, Feed Me, Find It, Magic Kingdom, Play, runDisney and tagged 2018, Alcohol, Closed Attractions, Disney Springs, Drinks, Epcot, Epcot Festival of the Arts 2018, February, Food, Magic Kingdom, Maria and Enzo's, Paddlefish, Peter Pan, Photopass, Pirates of the Caribbean, Princess Half Marathon, Refurbishment, Resorts, runDisney, Special Events, The Edison, World Showcase on February 1, 2018 by Minnie.